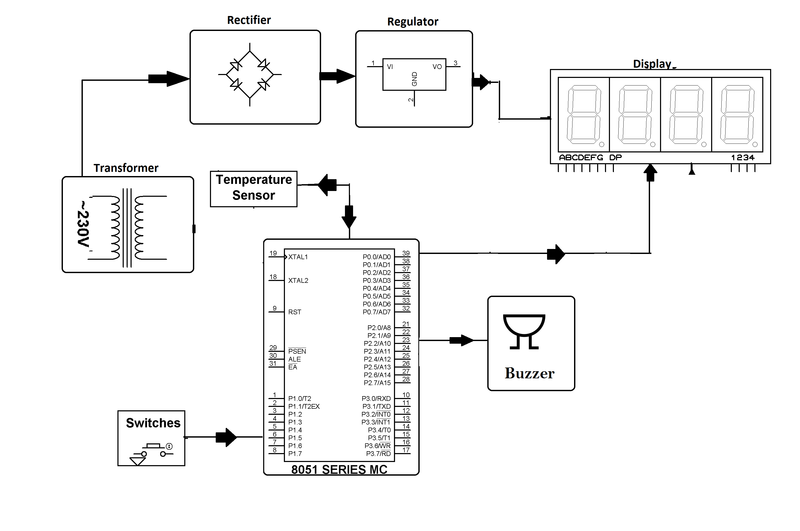 This proposed system is used to detect temperature of devices that are overheated. 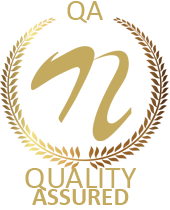 This project is very beneficial especially in places like factories or industries consisting of big machines where it is very necessary to take some action in case the machine is overheated. 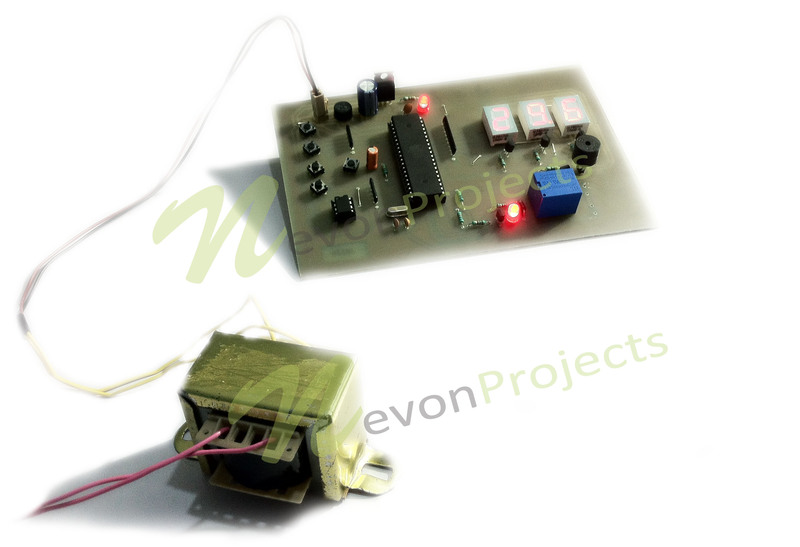 The system uses a digital temperature sensor in order to detect temperature and pass on the data to the microcontroller. 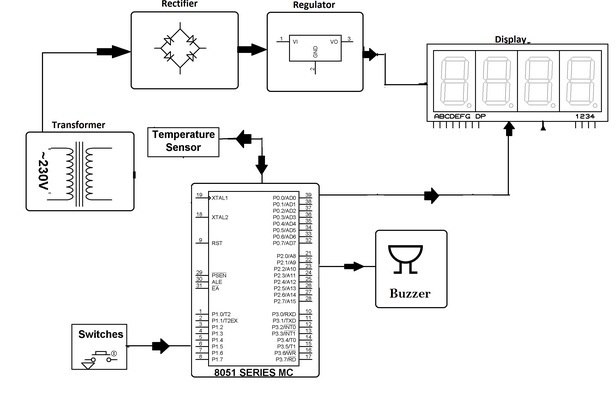 The 8051 microcontroller processes data and sends the temperature to be displayed on LCD screen. The display consists of 7 segment display unit to display up to 3 numbers. It consists of 4 push buttons for setting the high and low temperatures. Pressing set button allows user to increment and decrement the temperature of the system. 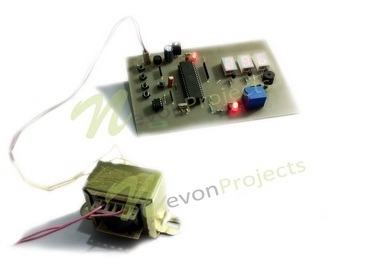 The system uses 12V transformer to supply power to the system. We can set a limit to the temperature and in case if the system exceeds the temperature limit, an alarm rings to indicate that the system has exceeded the set temperature.